This handmade pendant is my own original design. 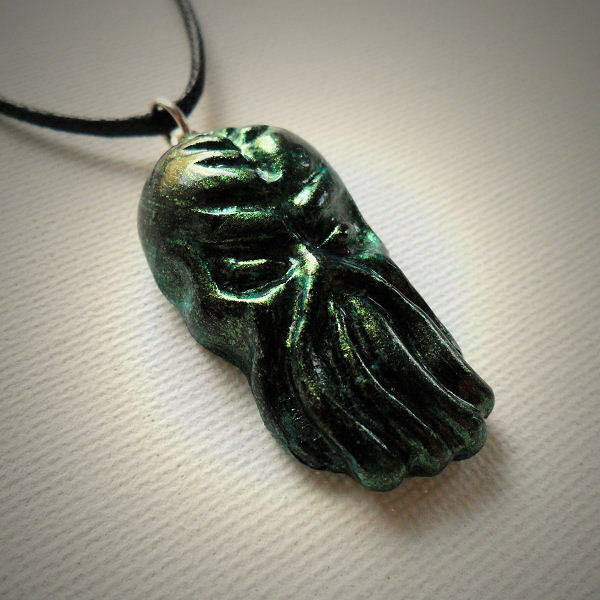 It is made from epoxy clay and features the elder sign upon Cthulhu's forehead. It is painted iridescent green with a gold sheen. 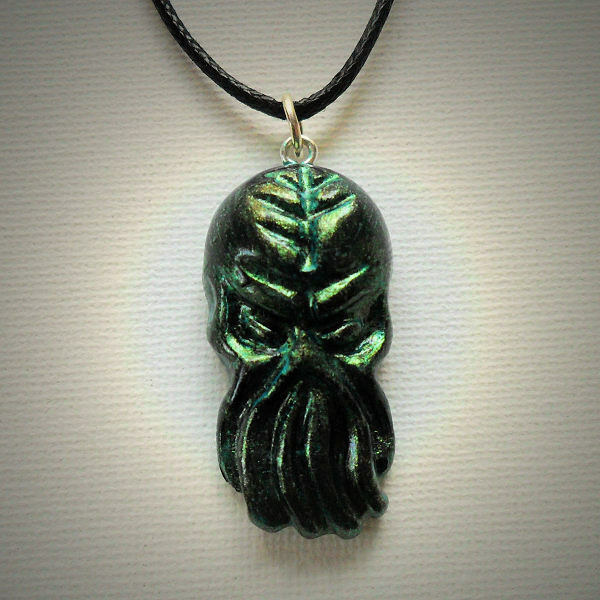 This pendant comes on a black waxed cord with slipknots for length adjustment.